Found this at the local antique store. 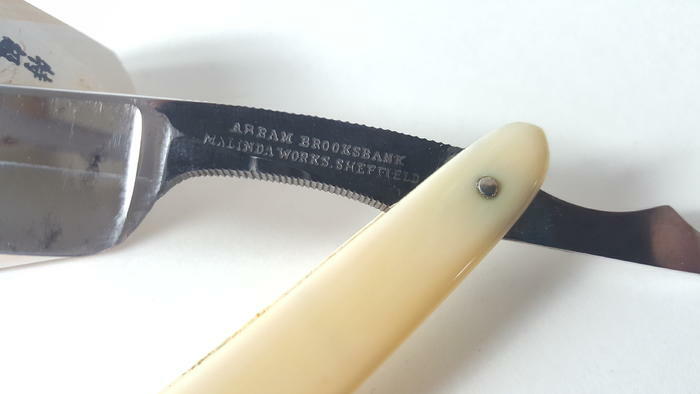 13/16th Abram Brooksbank w ivory scales. 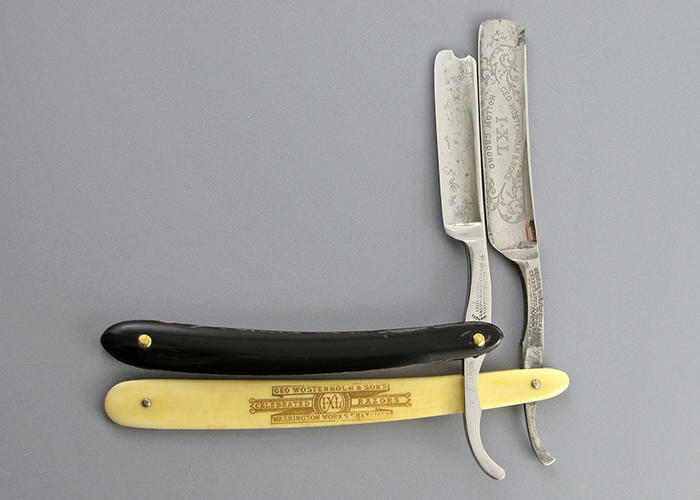 Has "Defiance" and cannon trademark on the front of the blade and the back of the tang. I haven't been able to find another example with a tang like this, what would you call it and have you seen another? 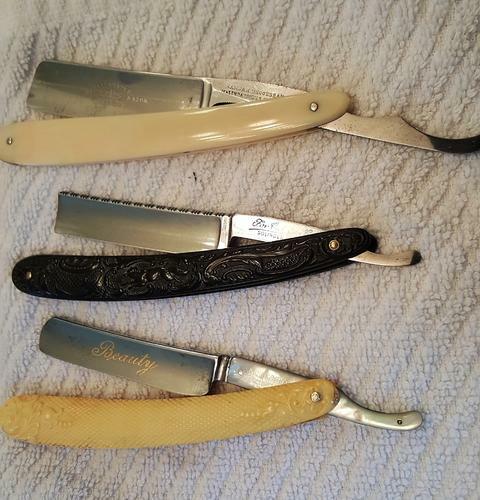 Here are all the razors that got some love today! 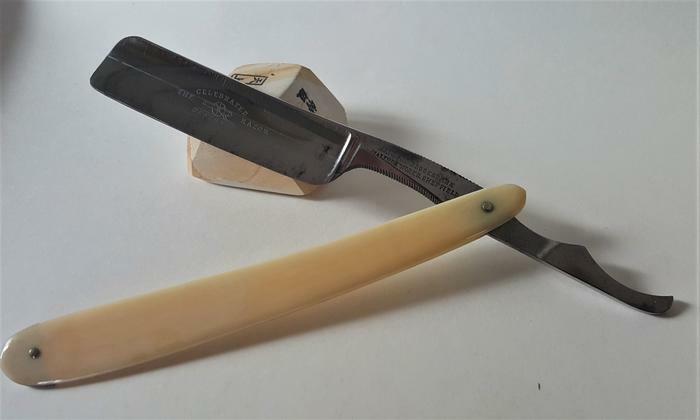 The Abram Brooksbank, Fox Cutlery, and Boker Beauty. ScoutHikerDad, Geezer, sharptonn and 16 others like this. I'd call it mother, for I've never seen another. Sweet find.!! Especially from the wilds. Speedster and Steve56 like this. You have a good eye my friend! Nice find, those finds are what makes it a very enjoyable hobby. Congratulations! That is one you need to show @voidmonster, he might know something about it. Those are very nice.. I really like the look of the Fox.. I admire anyone who quotes ‘The Princess Bride’. Lol. Thanks, the scales were pretty dirty when I acquired that one, and the makers mark isn't that great from years of opening & closing, but I'm a sucker for a worked spine! I've never seen one exactly like that, but long tail tangs do pop up from time to time. I've heard them referred to as "monkey tail" tangs -- because monkeys have long tails. Here's a Joseph Rodgers & Sons with a similar tang (and a Wostenholm for size reference). jfk742, dimab and DZEC like this.